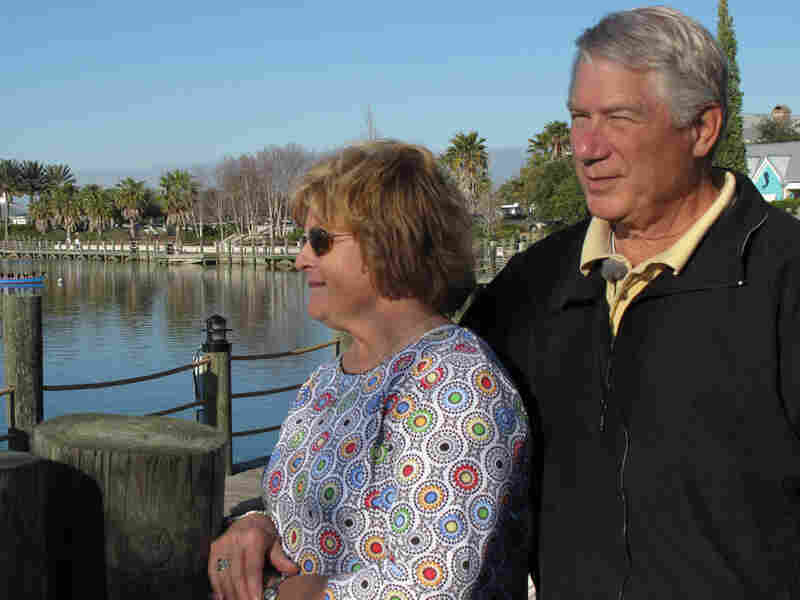 The Villages: Florida's Disney World For Retirees At the massive central Florida retirement community of 80,000 residents, the lines blur between public and private, civic and commercial, real and fictional. 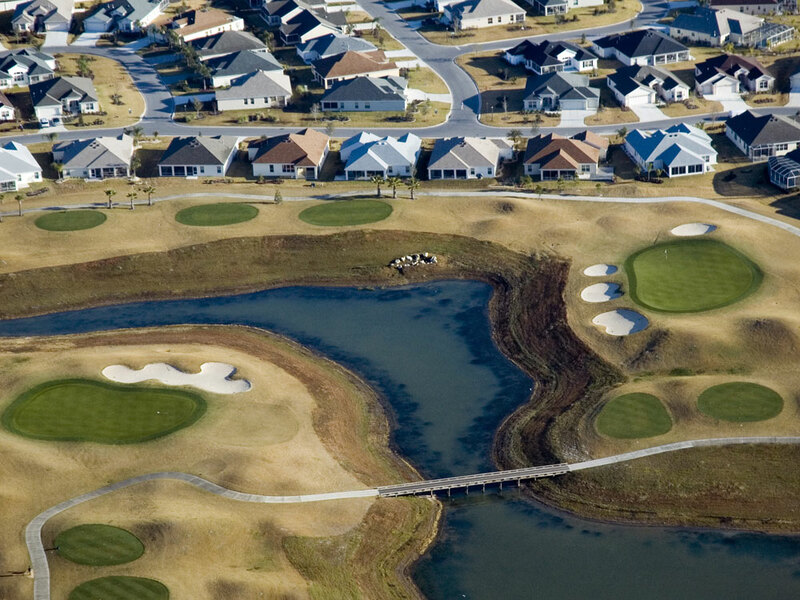 There are no residents under age 19, everything is golf-cart accessible — and it's all owned by one developer. But the residents like it — it allows them to retire to a life free of irritation. The Villages retirement community in central Florida had 8,000 residents in 2000 — now it has 80,000, and it continues to grow. In central Florida, a 21st century American boomtown defies economic gravity. It's called The Villages. The 2000 census counted around 8,000 residents in the retirement community — now there are 80,000. At The Villages, there are no permanent residents under age 19. Children who visit are unwelcome after three weeks. Every household is home to at least one person over 55 — and they keep coming. New residents buy homes that range from under $150,000 to more than $1 million. One of the huge attractions is golf, according to Don Hahnfeldt, a 65-year-old retired submarine captain who is head of The Villages Homeowners Association. "There are 486 holes of golf here," he tells NPR's Robert Siegel. "Up to 9,000 tee times per day. And last year, there were 2 1/4 million rounds of golf. In The Villages, when you speak about being convenient, that means golf-cart accessible." The allure of sunshine, low taxes, golf, bowling, dancing, mah-jongg, and the ease of shopping and meeting people has fueled the phenomenal growth of The Villages — and it keeps growing. Don Hahnfeldt with his wife, Cheryl, at the waterfront in The Old Towne Center at The Villages. Another striking thing about The Villages is that developer Gary Morse, who would not talk to NPR for this story despite several requests, owns just about everything. He owns the local radio station, which of course plays oldies and is piped by loudspeaker to the two downtowns. He owns The Villages Daily Sun, a full-size newspaper with multiple sections. The developer also owns a golf-car store, which advertises in the paper and on the local radio station, and sells carts that look like actual cars with headlights. 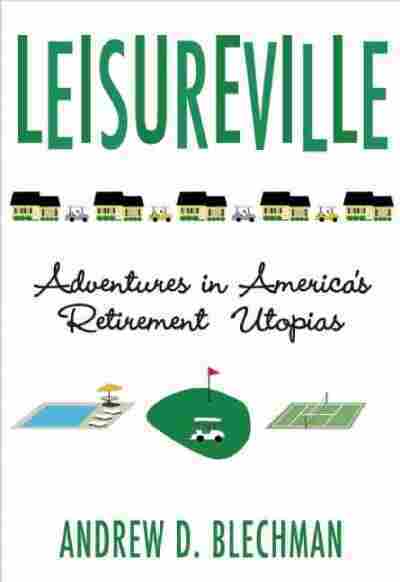 Andrew Blechman, who wrote about The Villages in his book Leisureville, calls The Villages an age-segregated community — something unprecedented in history. But history means something different in The Villages. The whole place was built in a year or so, Blechman says. But it has made-up history, including a man-made lake, which is supposed to be 100 years old with a lighthouse, and two manufactured downtowns that were themed by entertainment specialists from Universal Studios, he says. Blechman says people are gladly trading a more diverse, complex environment for life with a simple, benign and powerful developer. 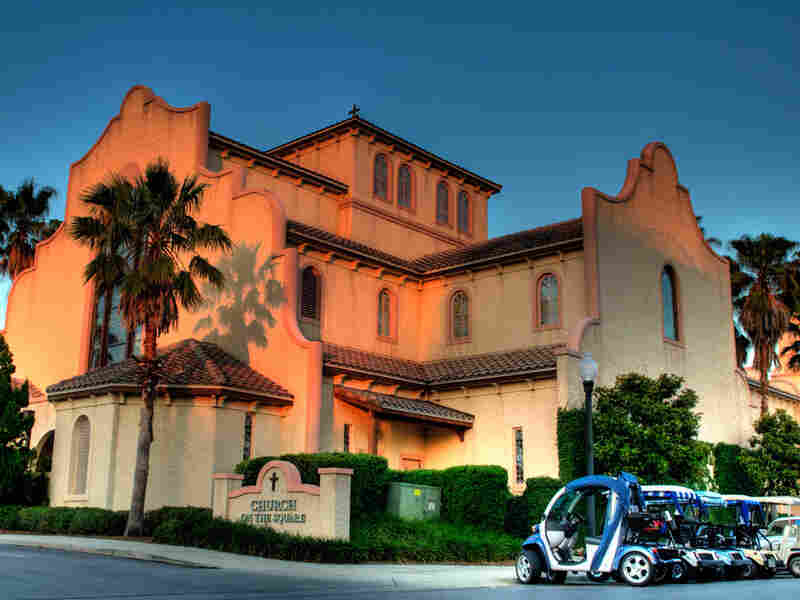 The nondenominational church at The Villages. "Everything's owned by the developer," he says. "The government is owned by the developer. Everything's privatized — and they're happy with that. You know, they've traded in the ballot box for the corporate suggestion box." The lines between public and private, civic and commercial, real and fictional, are being blurred in The Villages, and it doesn't seem to bother the villagers at all. Jill Rustici and Joan Jordan, while playing scrabble in one of dozens of recreation halls, say that people in The Villages are busier now than when they worked. The Villages is a great place to retire, they say. Retirement at one time just meant no more work. But in The Villages, it means no more school buses holding up traffic, no more loud teenagers, no more local government intruding into your life, and no media full of bad news about your community. In short, a life free of irritation.